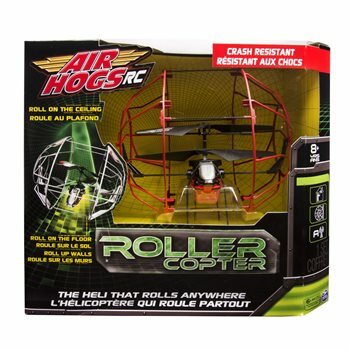 REMEMBER: This is the ULTIMATE Guide to Air Hogs Rollercopter! 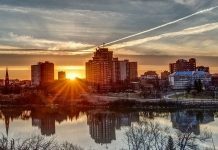 Photos, Videos and User Feedback INCLUDED! 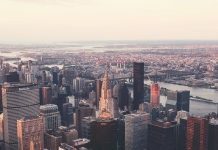 These Tips Helped Over 1,000 Readers! 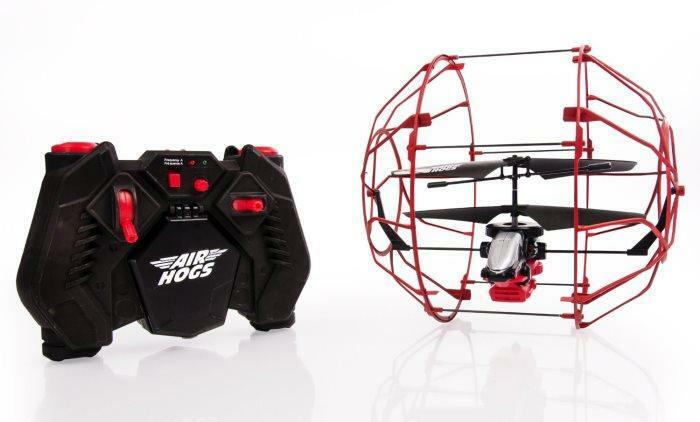 Air Hogs Rollercopter is an extremely affordable toy that acts as a flying copter, but is secured in a rolling cage that acts as a protective shield. While this model can glide across the floor with ease, it can also take to the sky and fly. It’s the perfect balance of home and outdoor fun, and it’s all built into one awesome, affordable copter. Perfect for kids 8 – 13, this copter has a rolling cage that adds a whole new dimension of fun to the way your kid plays with their copter. Indoor copters are known for one thing: breaking easily. When kids fly, blades can hit walls or furniture and break. Not only is this common, but it can also lead to injuries. 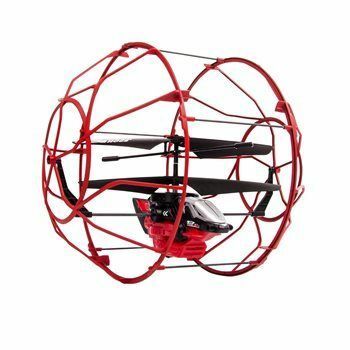 The rolling cage adds fun, excitement and unseen protection to the copter. 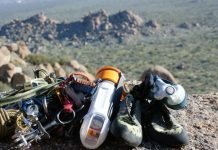 Climb up the walls without causing any damage to the blades. Glide across the ceiling without the blades hitting the top. Defy gravity and make your own way to fly. 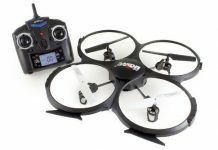 This is not an outdoor model, but kids will have an entirely new way that they can pilot their copter like never before. Crash resistant, you never have to worry about damage occurring to the copter’s body or blades. Once you have the basics down, you’re able to fly around through the air with ease. Glide through the kitchen or fly through the air to show your piloting skills. Getting this helicopter off the ground is as easy as hitting the throttle and maneuvering through the sky. The controller allows pilots to go: forward, backward and side to side. Unlike other complicated helicopters, the Air Hogs is precise yet easy enough for even an 8 year old to pilot. Mom and dad can also have a lot of fun when flying this model through the air. If you’ve tried other copters in the past, you’ll find that these controls are rather sensitive. As such, we recommend testing this model out at lower heights first before taking to the ceiling or higher to avoid any potential crashes along the way. All that’s needed is a light touch to go side to side or up and down. The propellers are so powerful that you’ll often see dust flying off of your fan blades or ceiling. Control is not hindered by the roll cage at all. 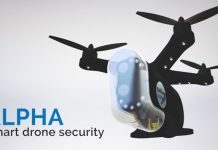 Users will have the ability to fly freely through the air without any concern of damage. For younger kids that often hit the ceiling and crash, this is a great choice. Note: Pilots can stick their fingers in the roll cage and hurt themselves. For younger children, make sure that they’re watched closely with any helicopter. Controller range is far. 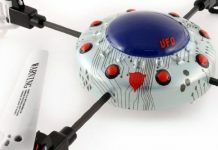 Users have noted that they can fly up two stories without losing control of their copter. Worried about landing? One of the best things about the Air Hogs Rollercopter is that you never have to worry about landing. The roll cage will always touch the floor first, ensuring that you don’t crash and burn upon landing. The remote acts as a charging station for the 6 batteries that are required to fly this copter. However, only 4 batteries can be charged at one time. 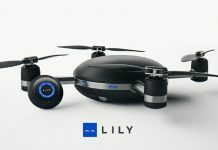 In total, it takes 15 minutes to charge the batteries, and then you’ll be able to fly for 15 to 20 minutes. It doesn’t get much better than this even with copters that are 4 times the price. 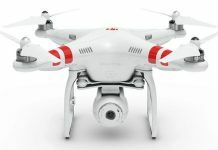 In terms of flight duration, this is an amazing choice, and you won’t need to spend money on buying new batteries over and over again. We really liked this copter. 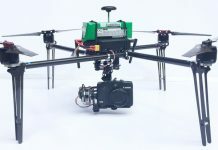 It glides across the ground with ease and has very good flight control and balance. The flight time is far longer than expected, and the charging station for the batteries was a nice addition. The charging cord even fits neatly within the charging station so there’s no fussing with wires. As an indoor copter, you wouldn’t expect to have a long remote range. However, you can control this model for more than 2 stories with ease. If you’re in your foyer, you can test it out yourself to see how well this model handles even at longer distance. Note: Never fly out of operation distance. There is no protective hovering mechanism in place as is seen with high end models. If your copter loses signal, it will tumble to the ground. Far crashes of this type have been known to damage the Hog’s blades despite the roll cage being in place. The actual con that most people experience is related to the roll cage itself. In fact, while this cage is perfect for the young pilot that crashes often, it is very sensitive and will not be able to propel up walls if there is crown molding. For such a small model, it’s expected that it wouldn’t have the power to be able to scale the walls with ease if there is molding in the way. If you have crown molding, this may not be the best option for you. Still on the fence with this model? It’s powerful, fun and has a very long flight time. Is it perfect? No. It’s meant for indoor use only, and if you lose control and the copter falls from a high speed, the protective cage won’t help you much. In fact, we recommend only flying this copter as high as 7 – 10 feet due to the propellers breaking easily if the copter falls further. Unfortunately, this happens with most models and should be a given. 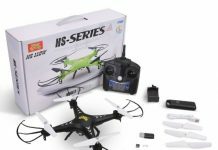 Sold for less than $50, this is the ideal entry-level copter for kids 8 – 13. You can roll up walls, climb the ceiling like a spider and show off your piloting skills all with one Rollercopter. 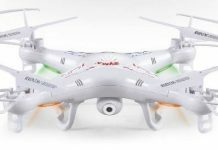 Parrot Rolling Spider MiniDrone: This Toy Is Awesome!